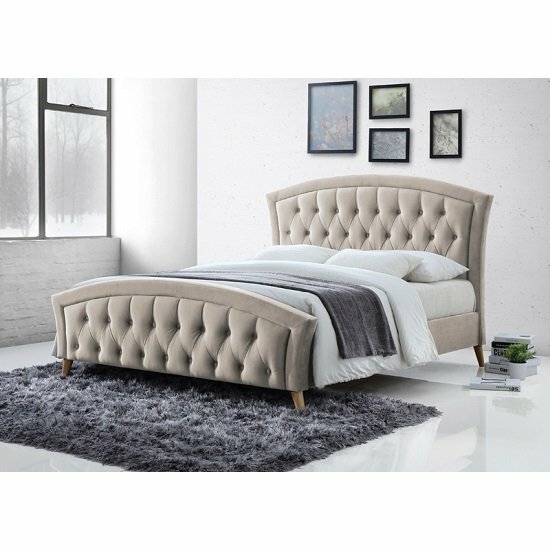 Kansas Fabric Bed In Champagne With Curved Wooden Legs, This Stunning Bedframe will make a bold style statement in your bedroom decor. 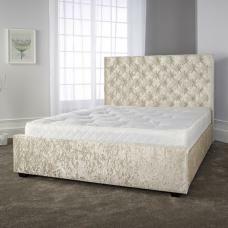 This Bed is upholstered in Smooth Champagne fabric with wooden feet. 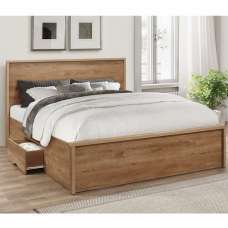 Buttons embedded Headboard and footboard will surely become eye-catchy, and brings a new life in your bedroom. 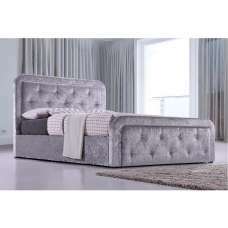 This bed frame is available in double or king-size. 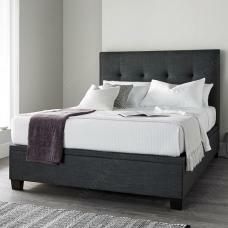 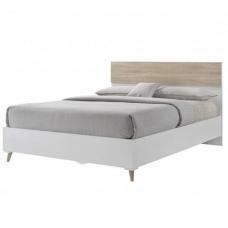 This elegant bed frame also comes in Grey Fabric. 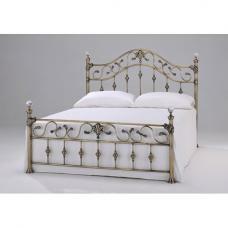 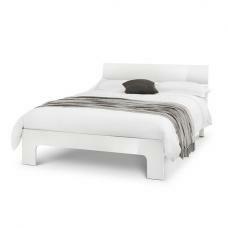 This Bed will give a luxurious feel and complement to any bedroom decor. 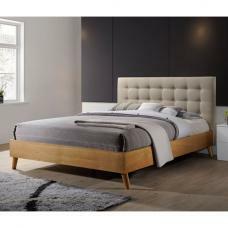 Stylish bedframe with Curves on Headboard and Foot Board.